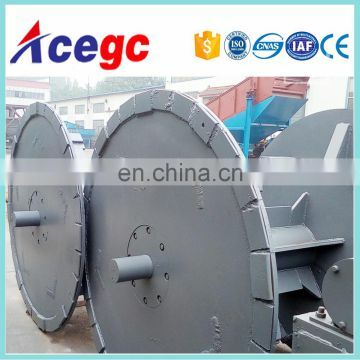 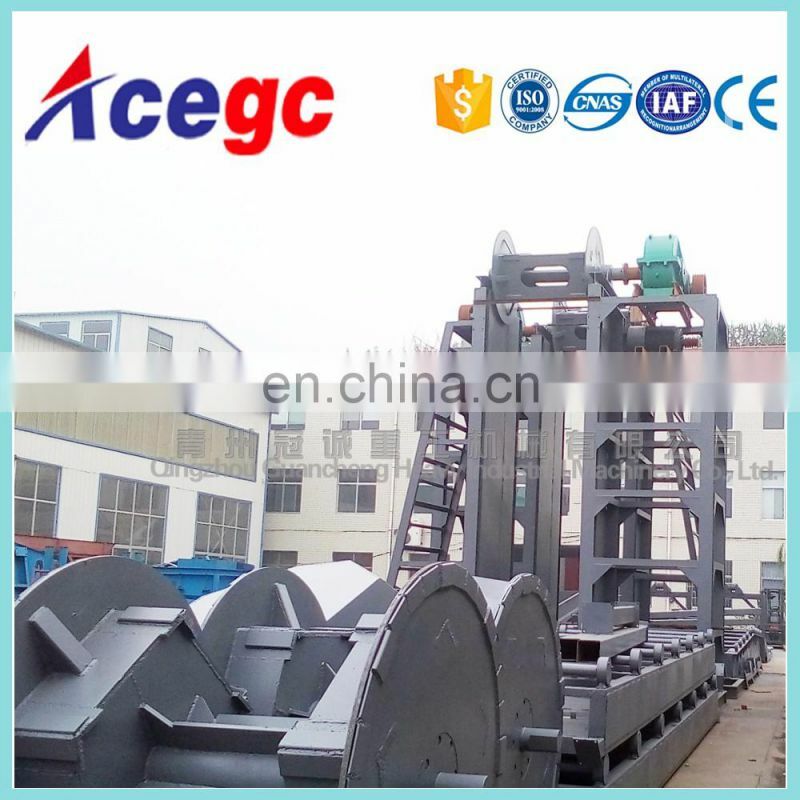 Bucket chain gripper equipment dredger sand/gold collecting dredger work in water of river is competitive,composed by 2 parts. 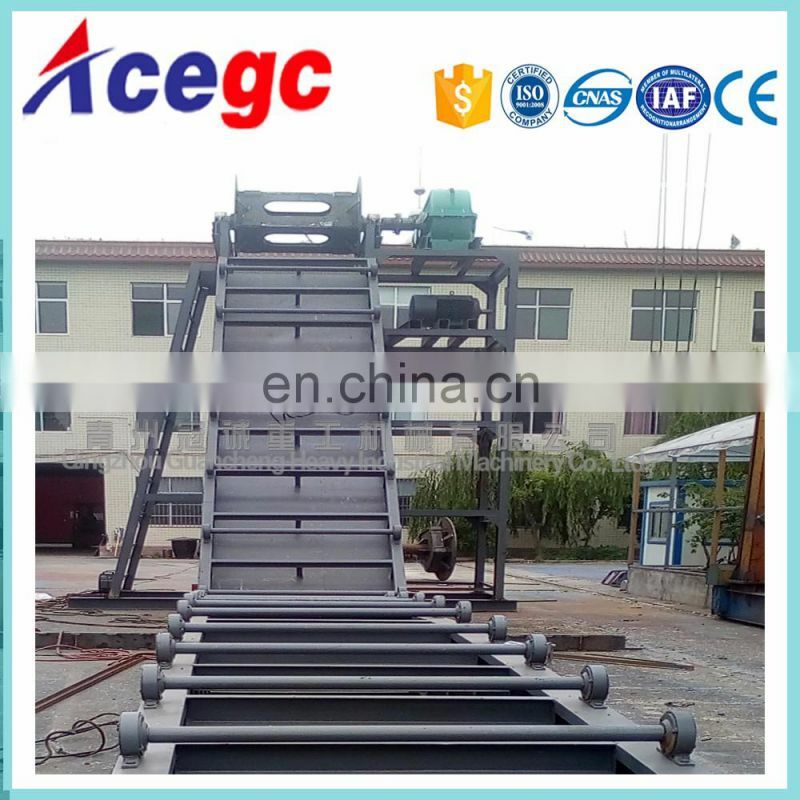 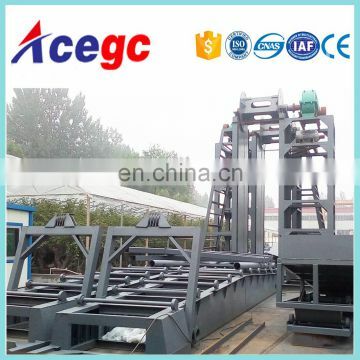 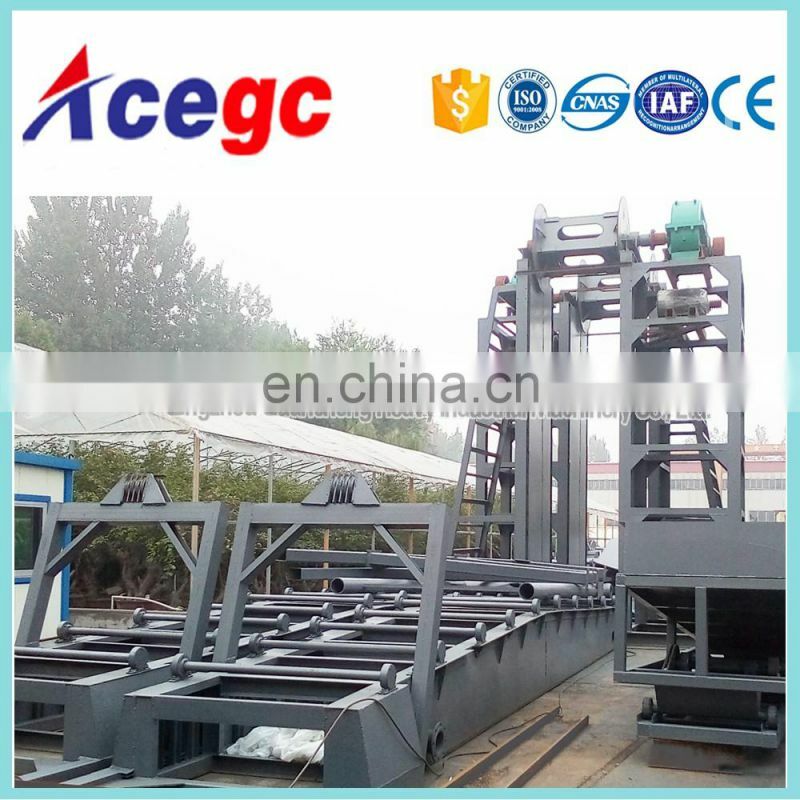 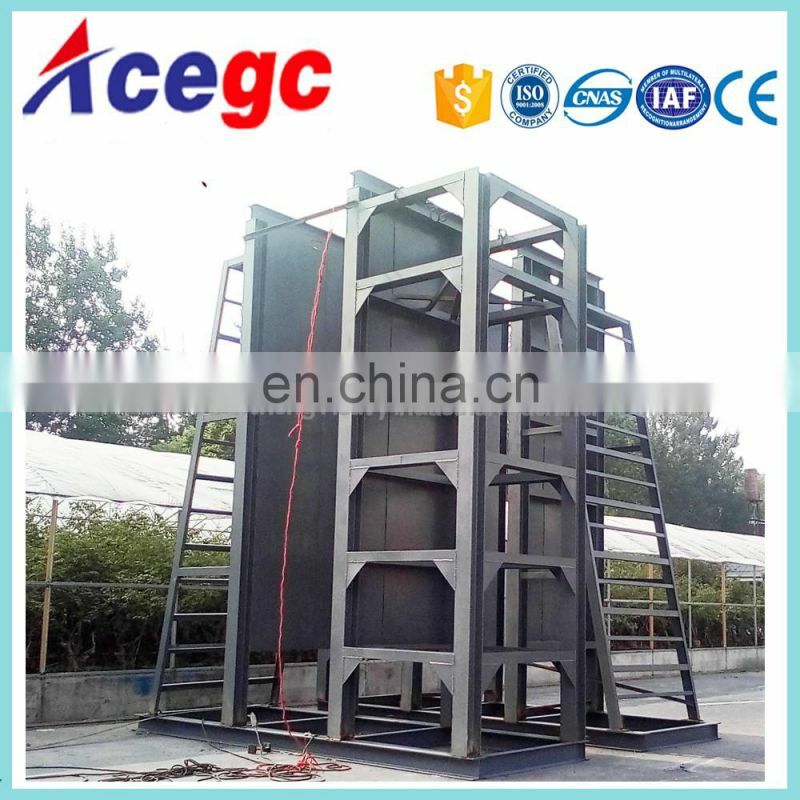 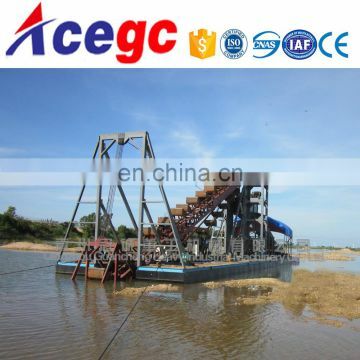 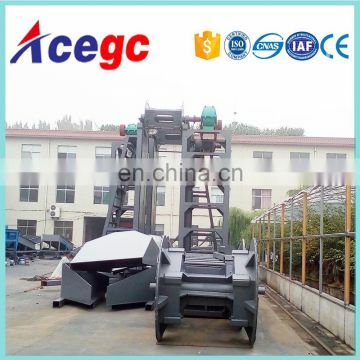 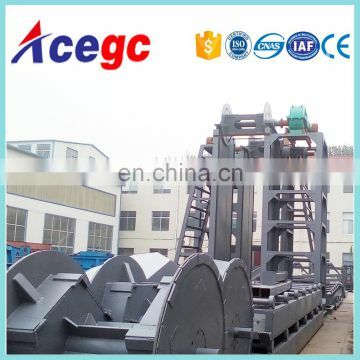 The 1st part is the sand or mud dredging system. 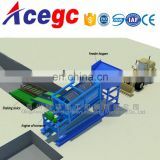 This system used buckets to scoop the sand,mud and gravels up then delivered by the 2nd part transporting system to trommel screen classifier. 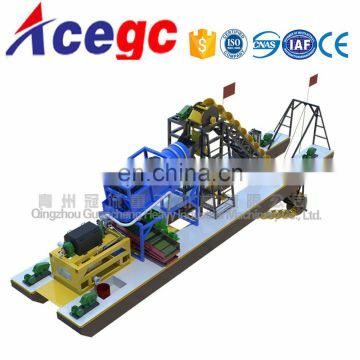 Then the trommel screen classifier will separate the big stone,gravels firstly when breaking the clay with the iron chain which makes it easy to get the clean sand.If there are gold in the sand it can also add the gold concentrating machine such as gold centrifugal concentrator,shaking slucie to get the gold. 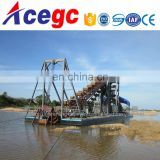 The delivery of sand usually using sand transport barge or by sand pump and pipes to send the sand to board. 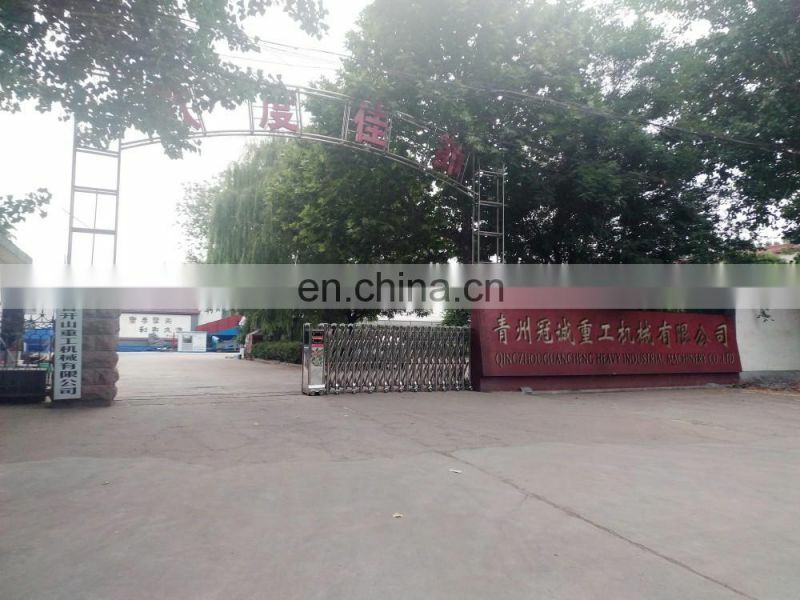 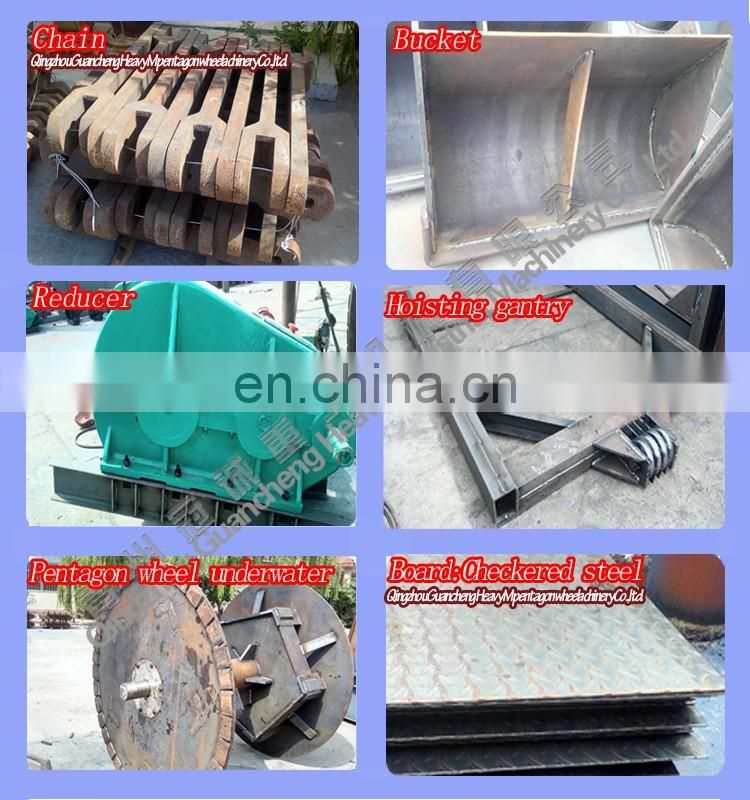 It can be made in our factory loading by container or welding in your mining site by our workers.Our engineer/worker go abroad to serve is available. 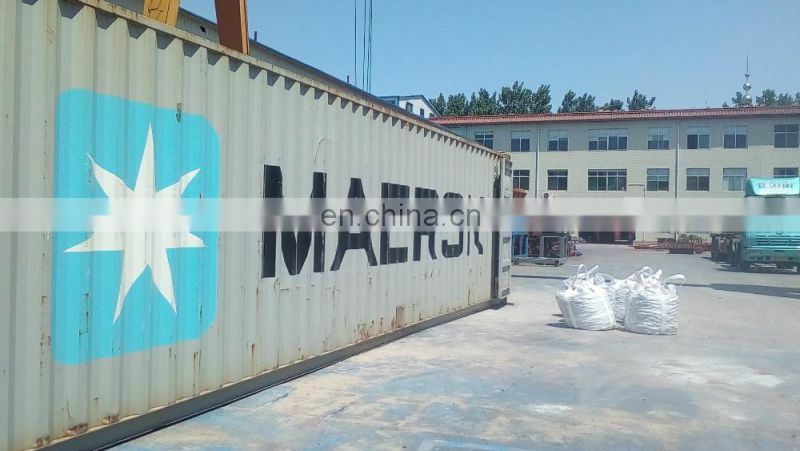 The container loading of square wheels. 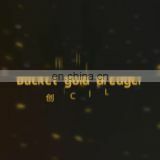 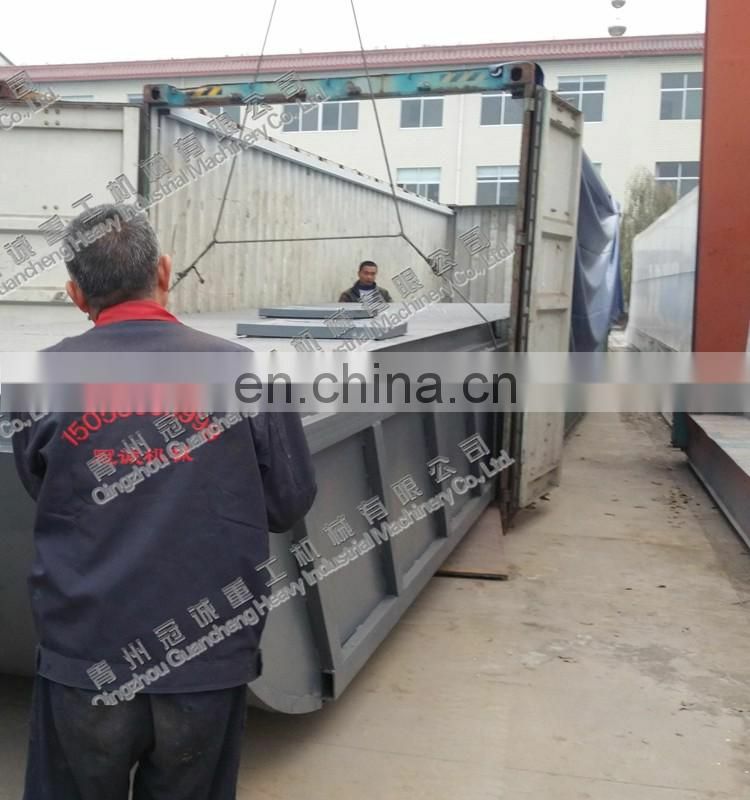 Normally we loading arm and buckets together to save space of container.You can see it clearly from picture. 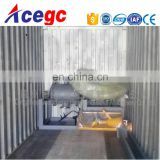 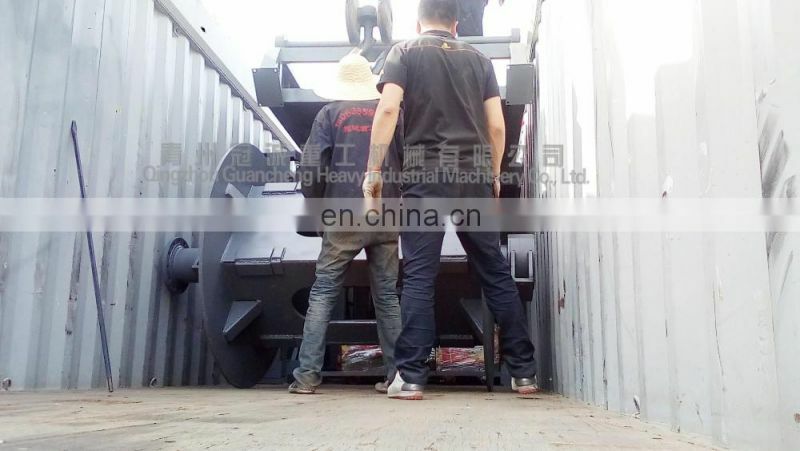 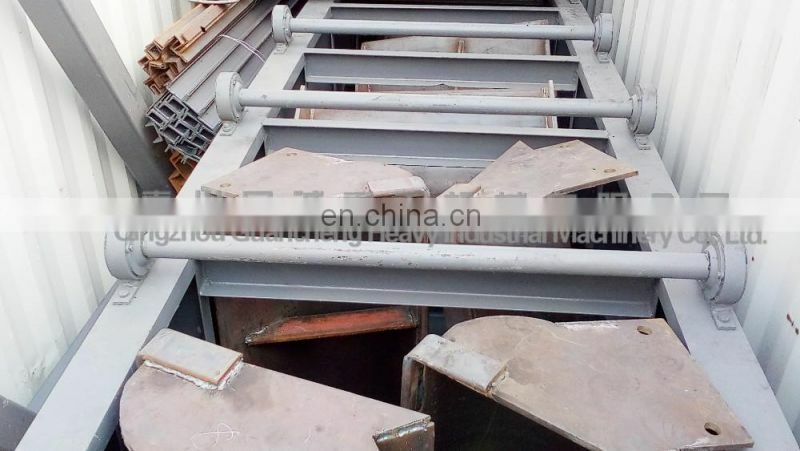 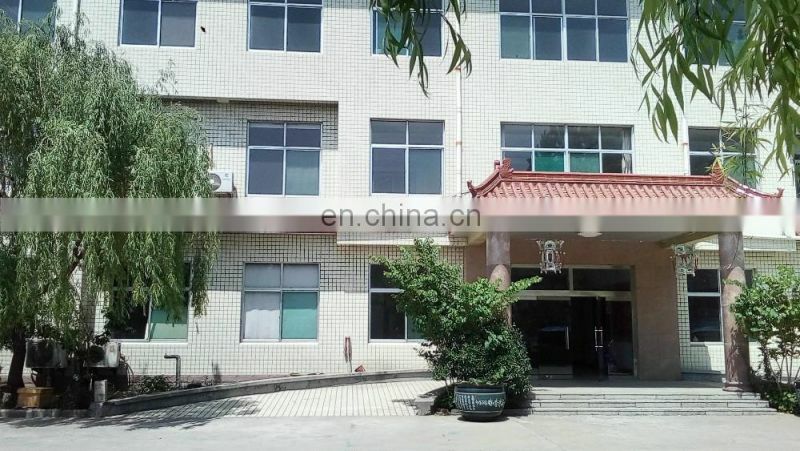 The small size material <6mm gettinginto the material box through sand pump feeding into a horizontal auto&no break discharging centrifuge, then the concentrate got and finally into fine material box, scrap material to be get rid from waste pipe. 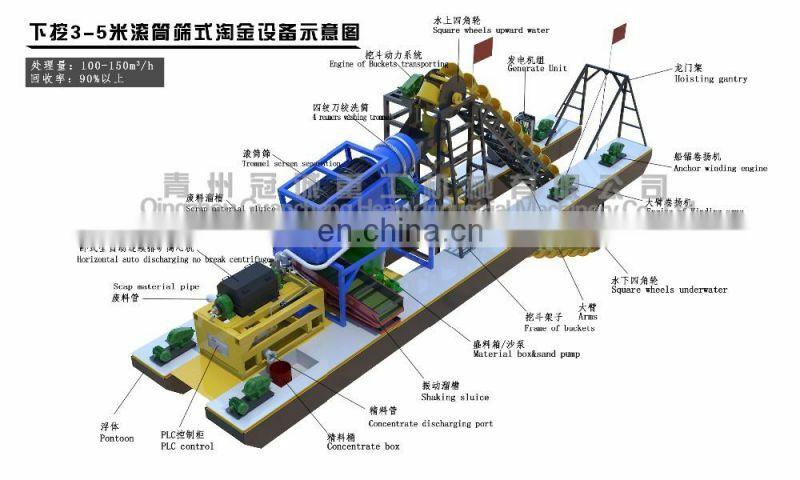 3).Physical characteristics of the ore (gravel,sandy, with light clay or heavy clay),gravel size and including big stone or not.